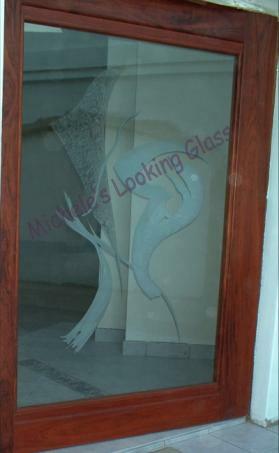 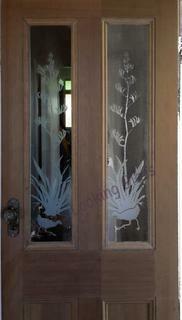 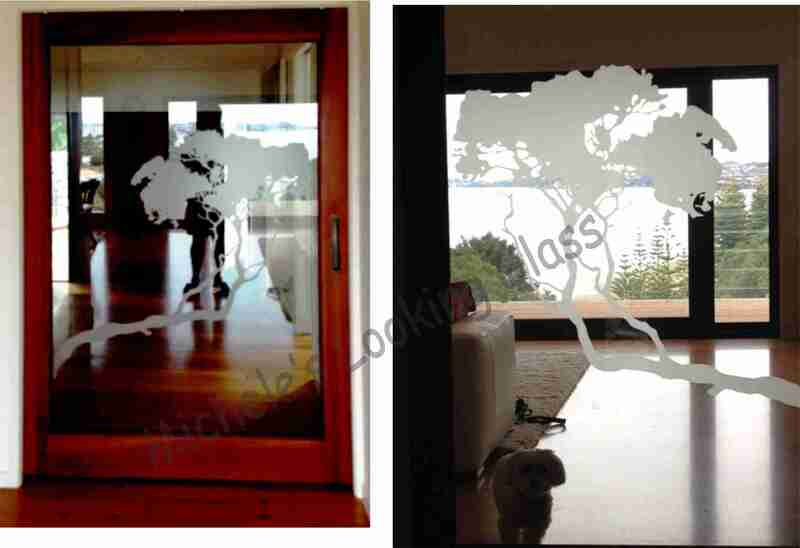 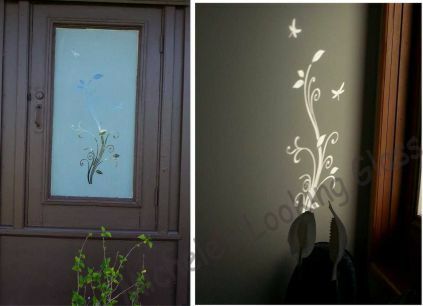 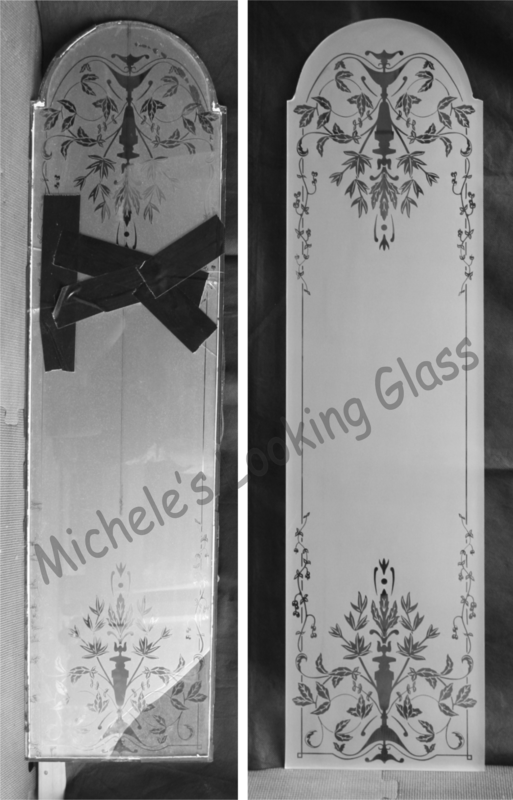 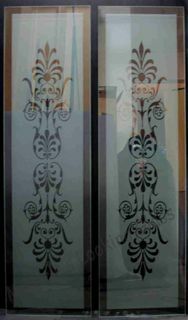 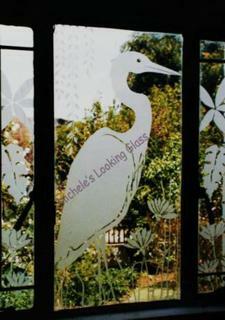 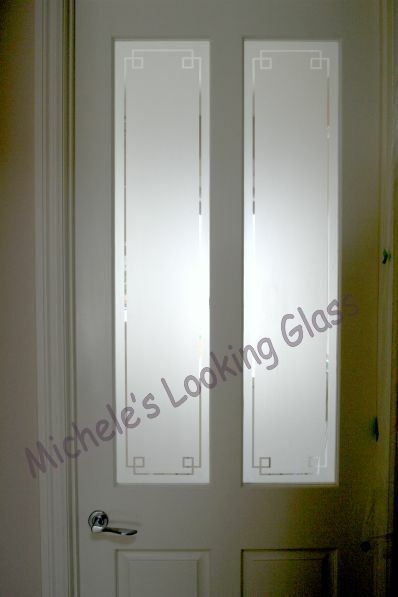 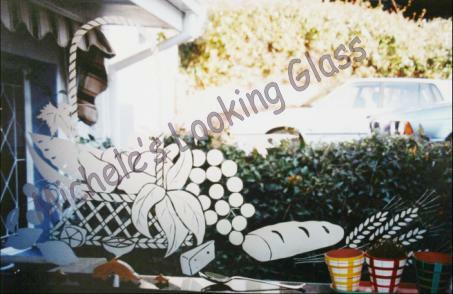 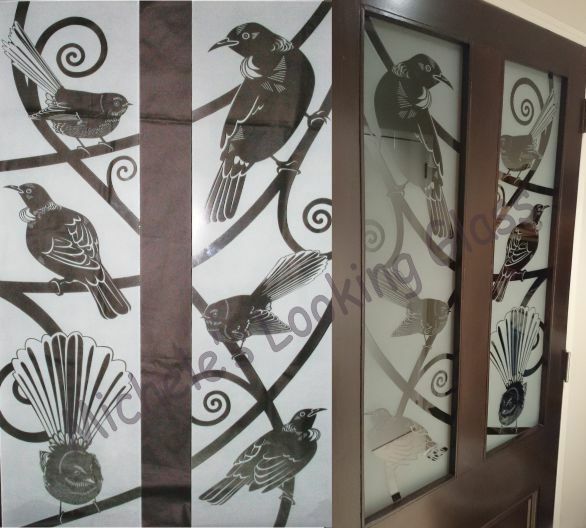 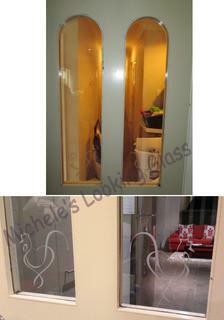 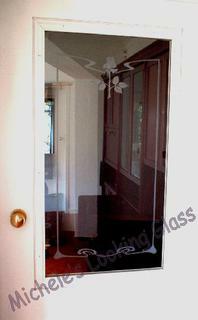 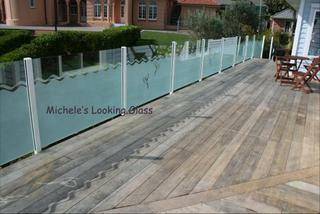 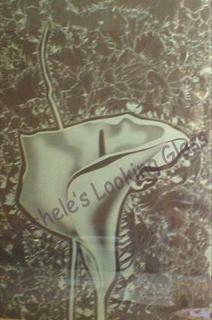 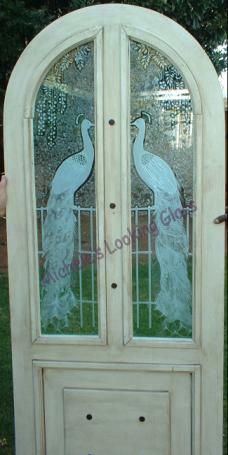 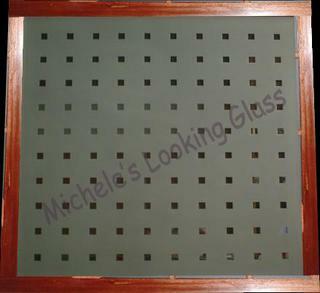 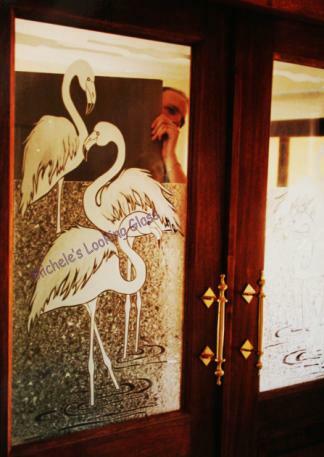 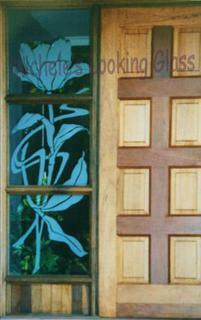 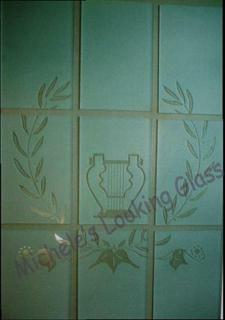 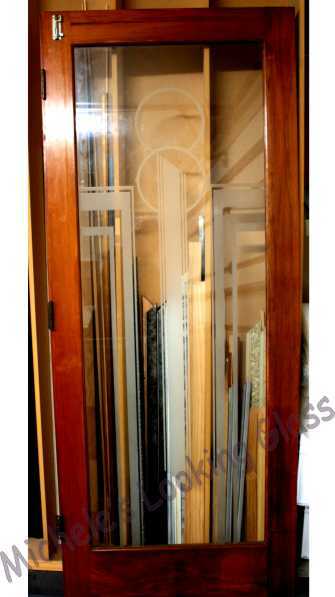 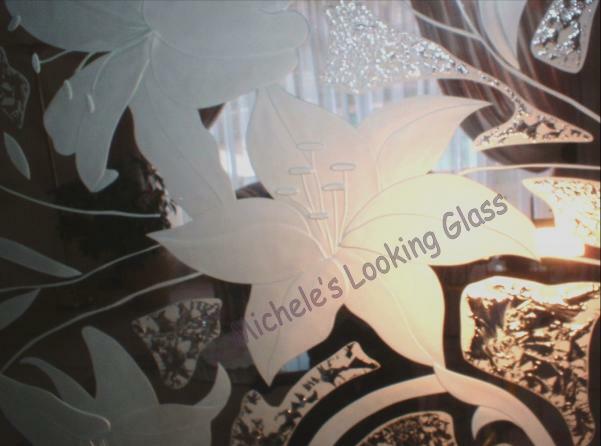 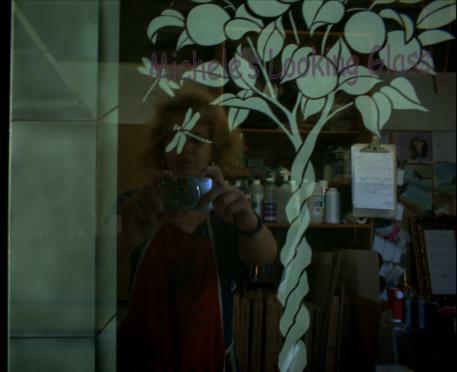 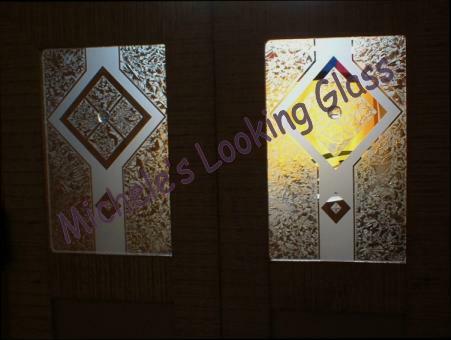 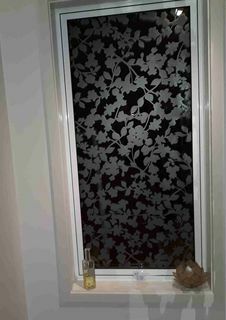 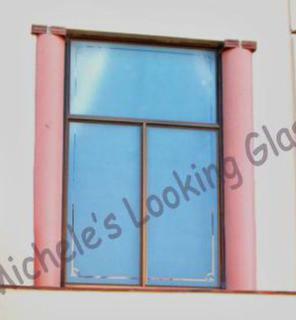 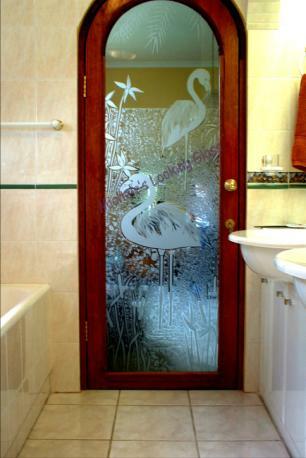 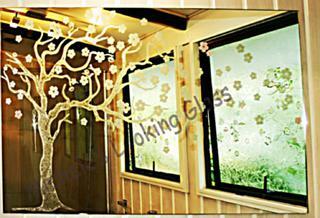 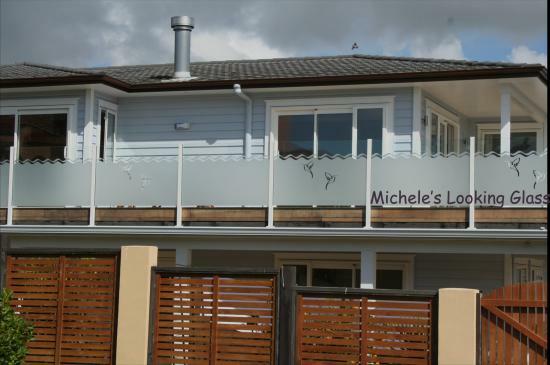 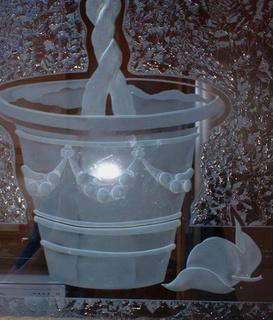 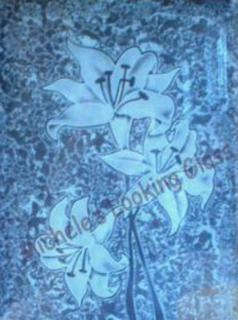 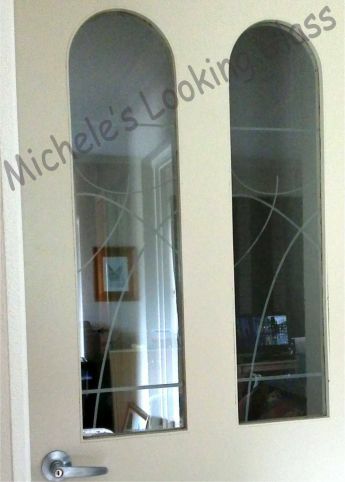 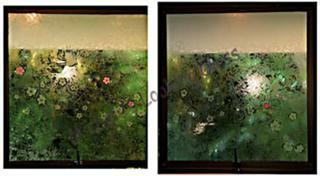 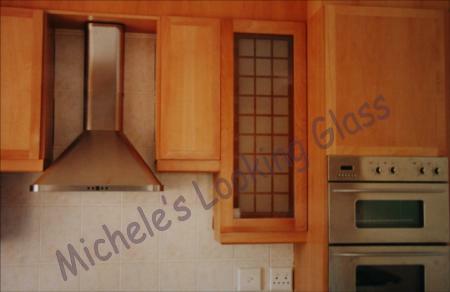 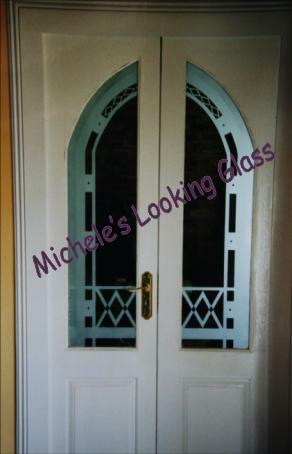 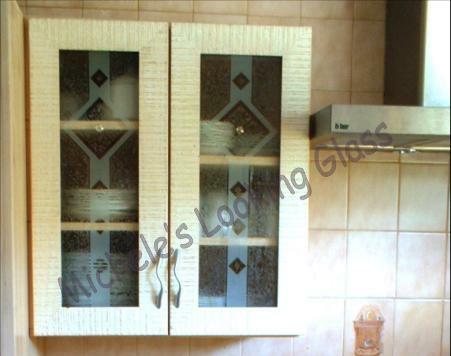 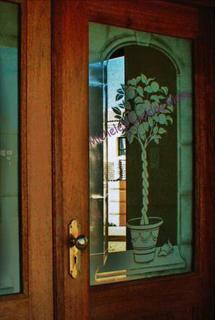 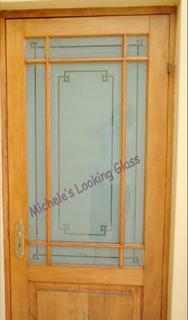 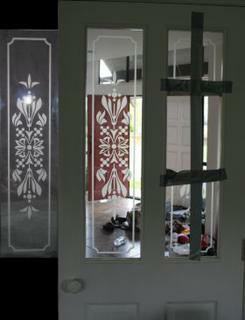 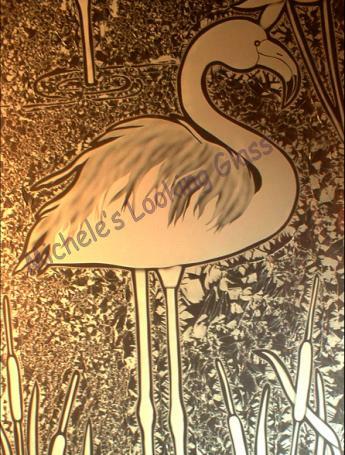 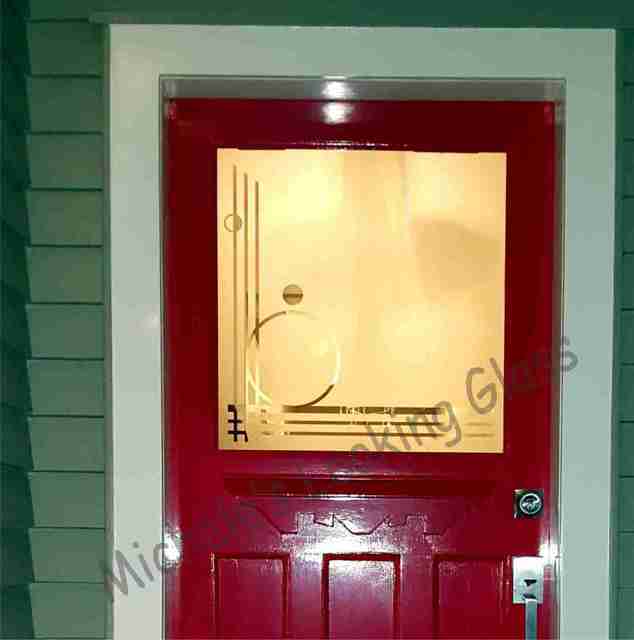 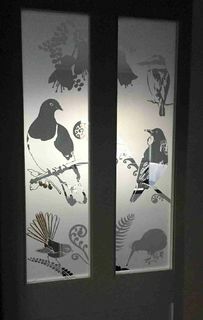 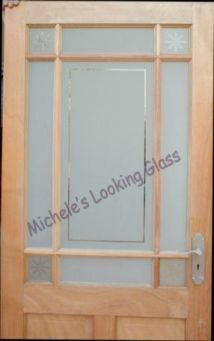 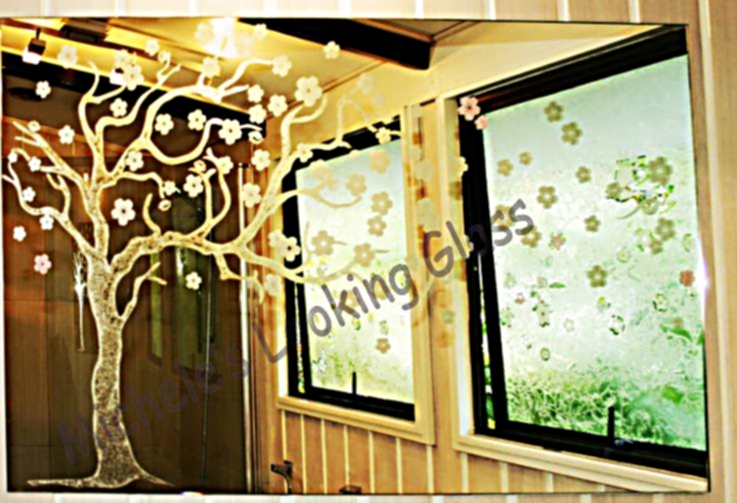 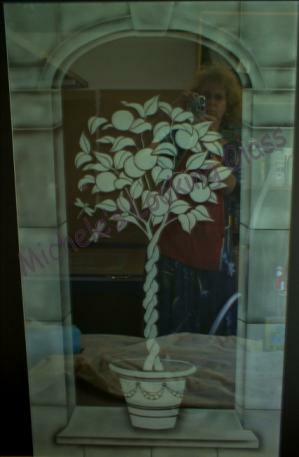 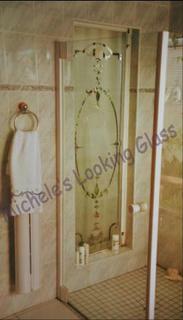 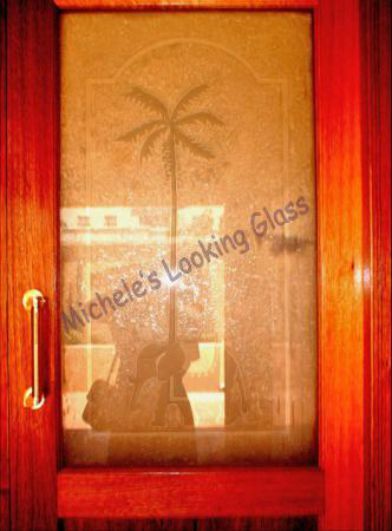 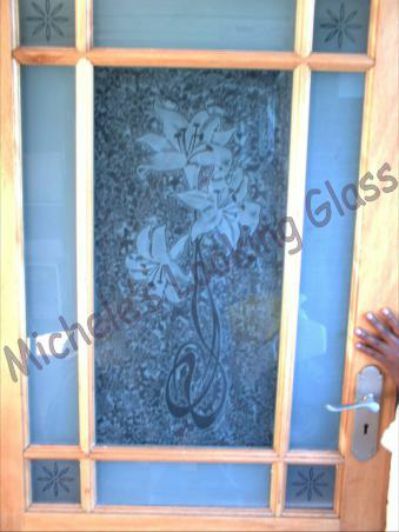 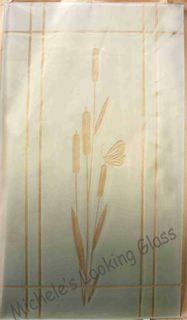 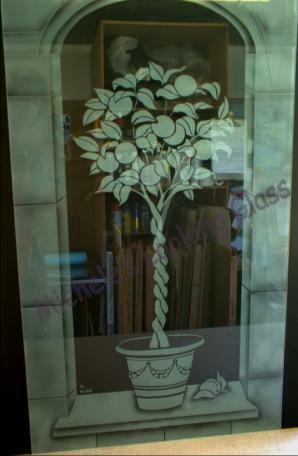 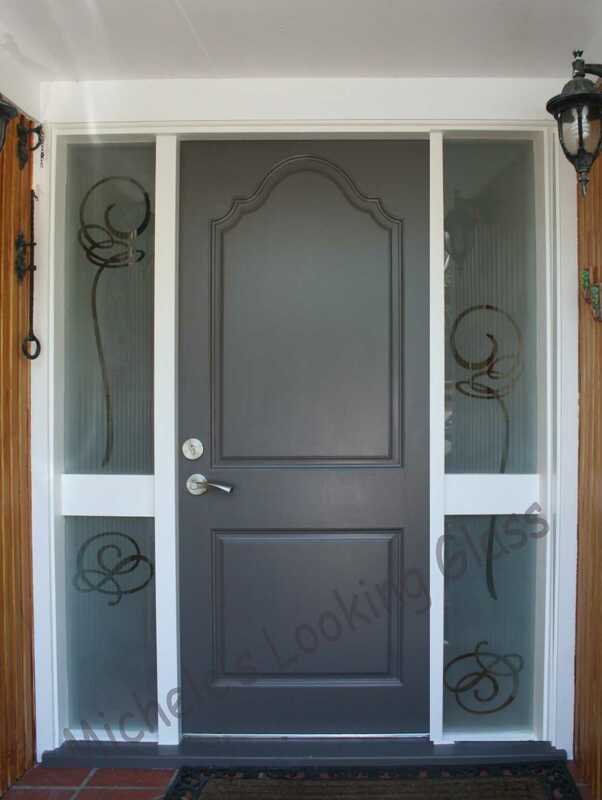 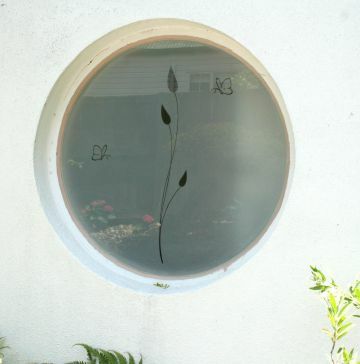 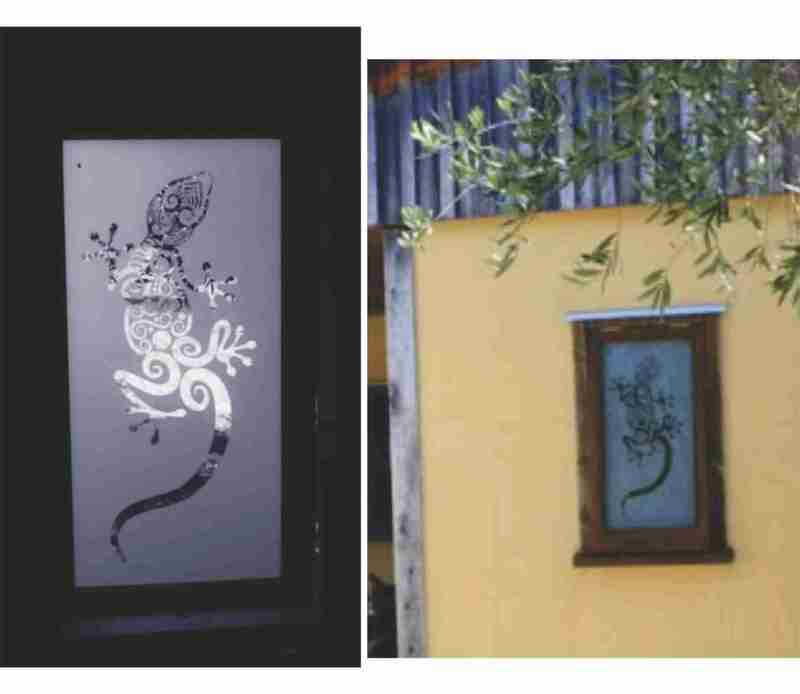 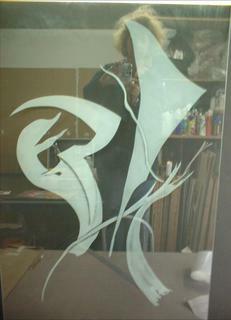 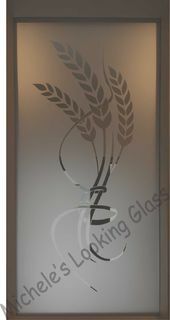 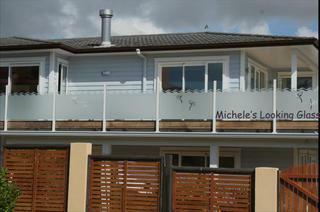 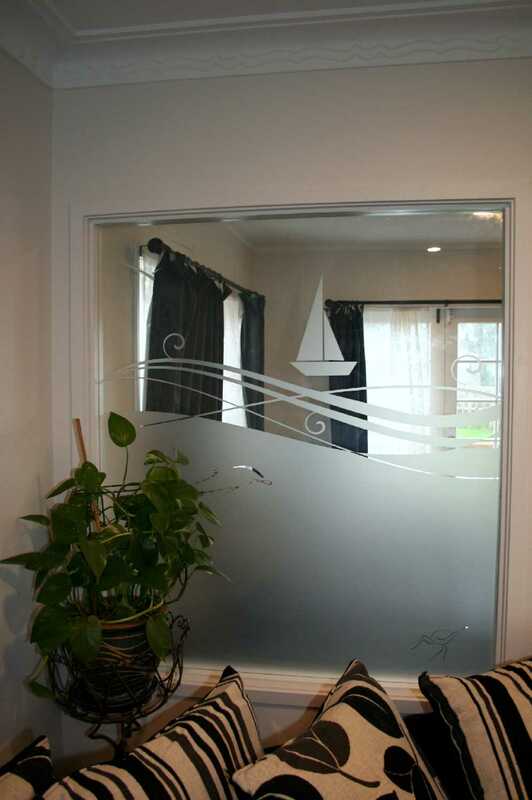 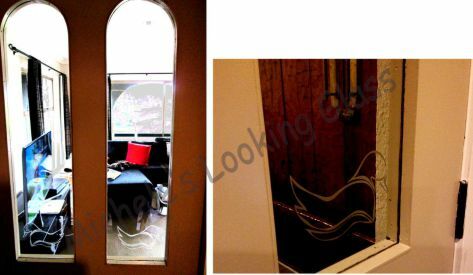 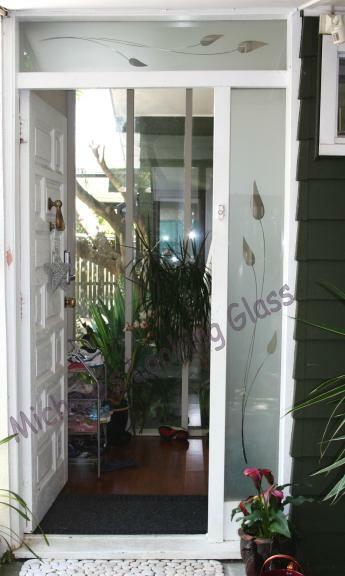 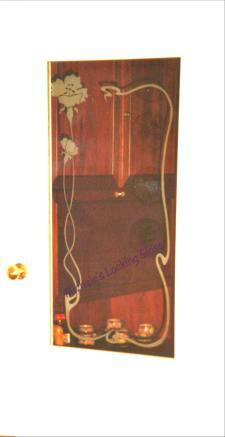 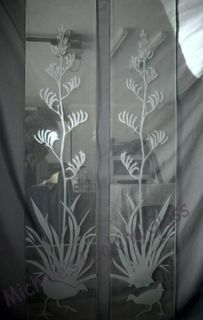 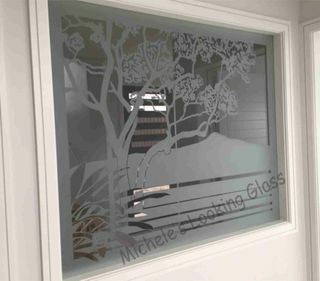 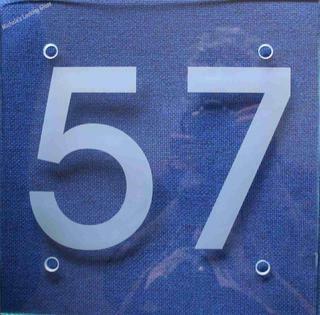 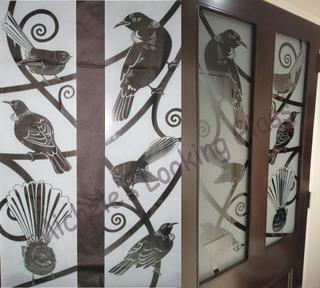 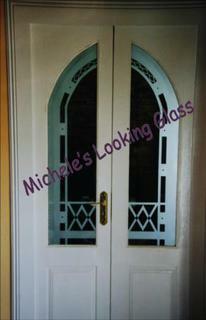 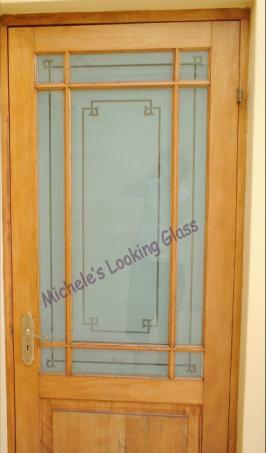 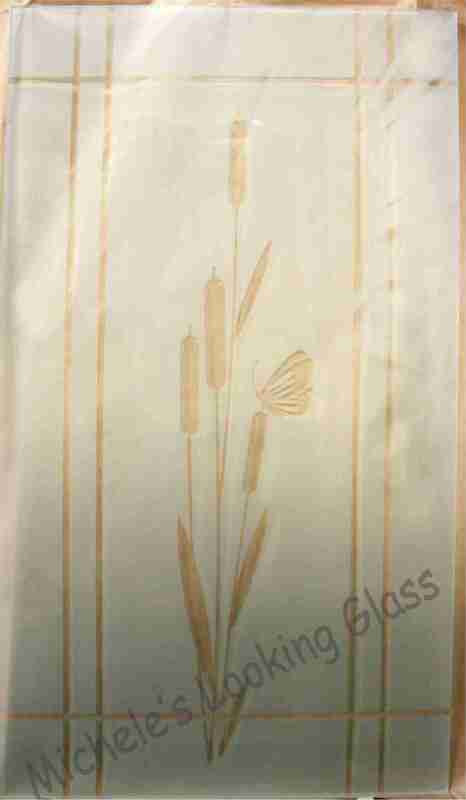 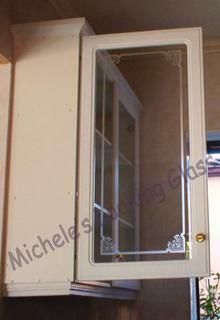 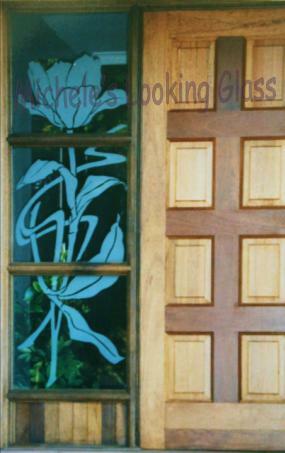 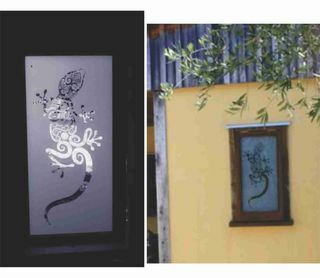 Glass Etching, using the superior method of sandblasting, creates a subtle, permanent finish. 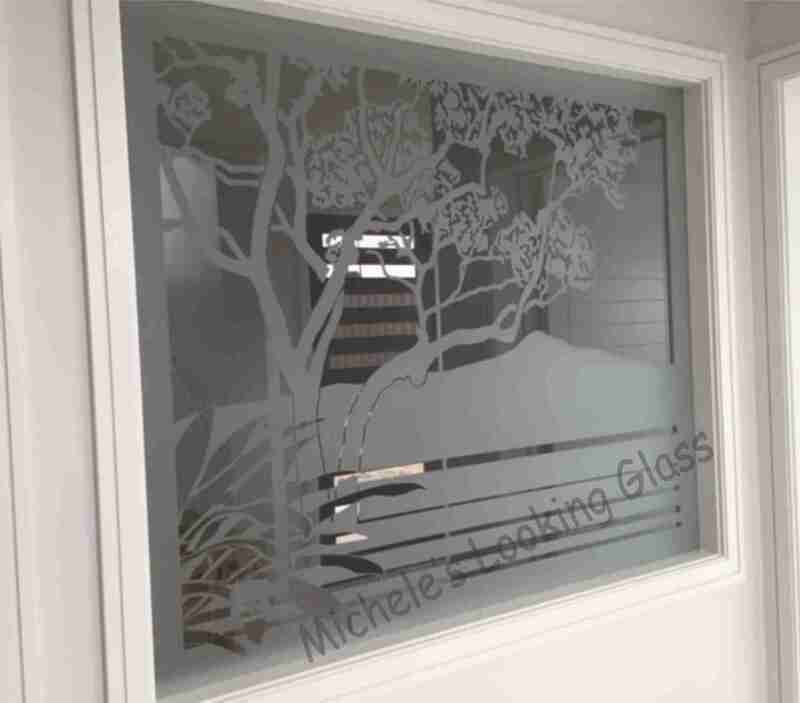 Because the finish is the result of a glass texture change, there can be no peeling, cracking or fading as with fake finishes, ever. 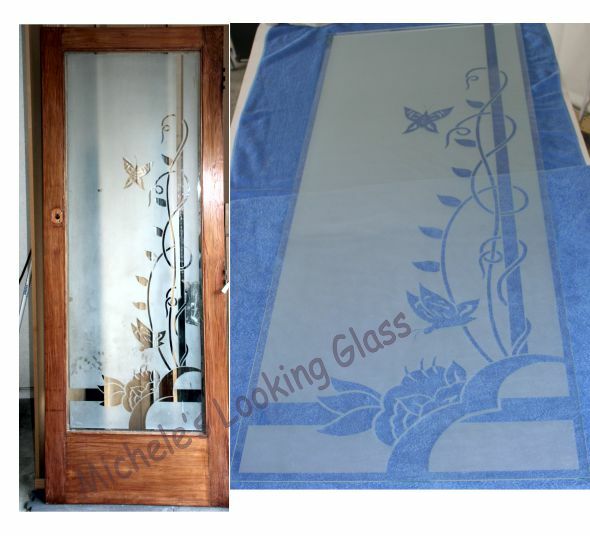 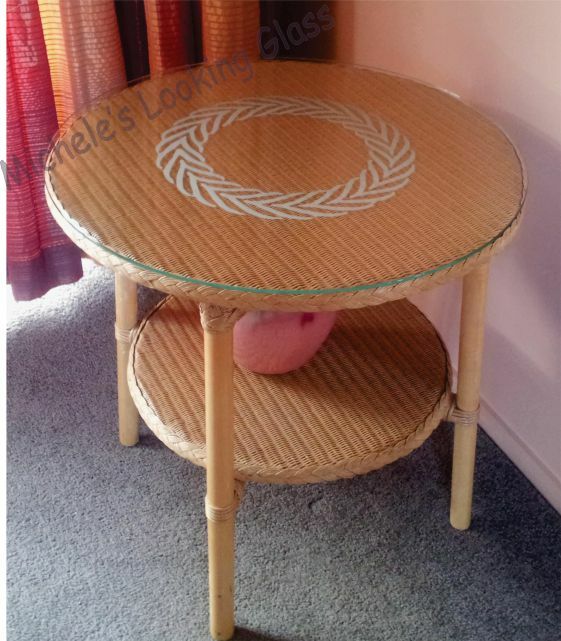 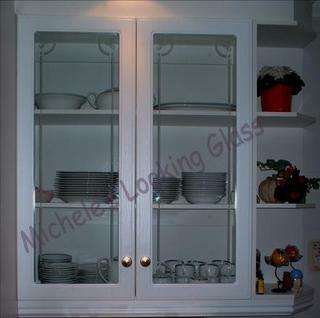 Glassware and mirrors can also be transformed into precious heirlooms. 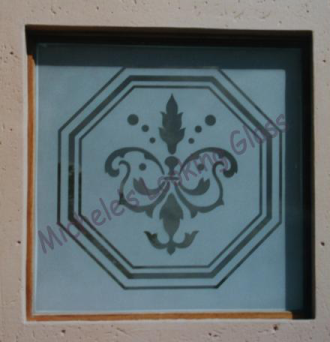 This simple etched design really beefed up an old fashioned exterior. 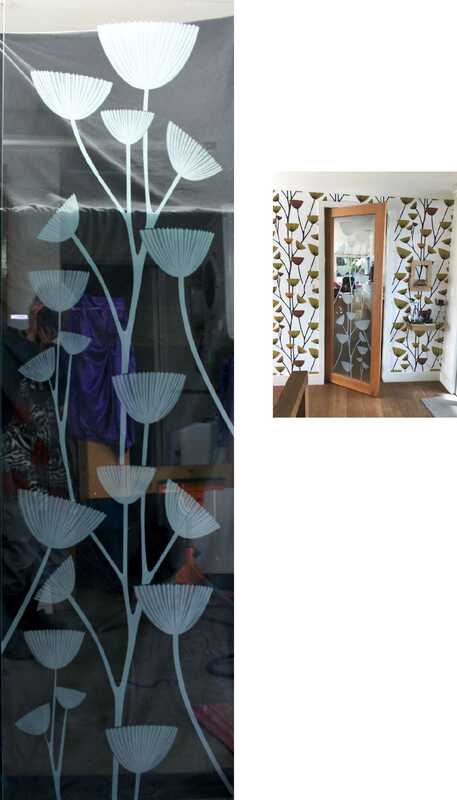 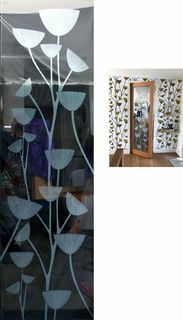 The customer wanted privacy as well as a pleasing image. Designed to match previous side light and top light. Reverse blasting was used to improve privacy. 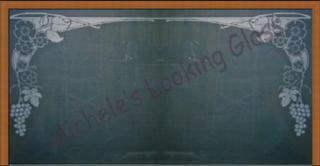 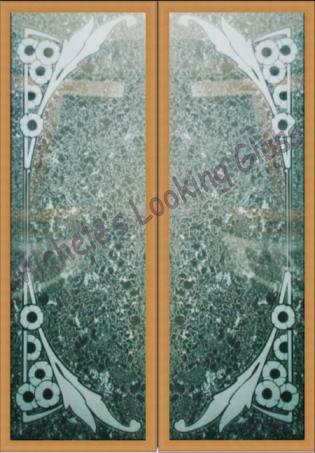 Background textured and the design carved. 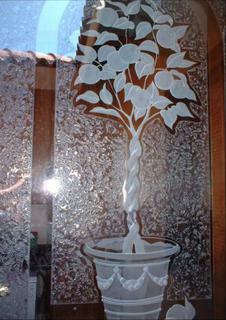 The carving of the flower can be clearly seen. Notice the beautiful light play through the background texturing. The customer's husband loved ducks and wanted the etching to be subtle. 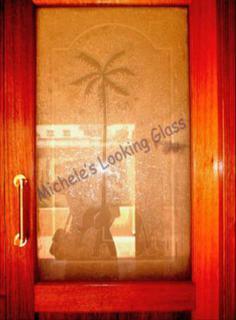 Palm tree and elephant (bottom) were both carved and the background textured. 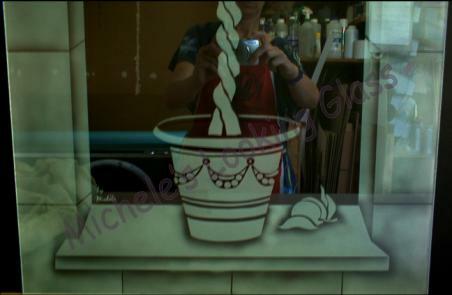 Not a good image. 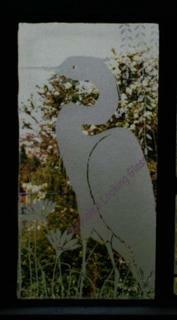 A step up from a plain border. 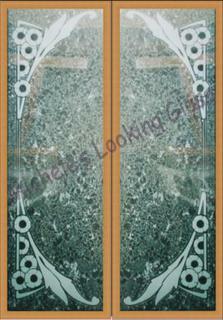 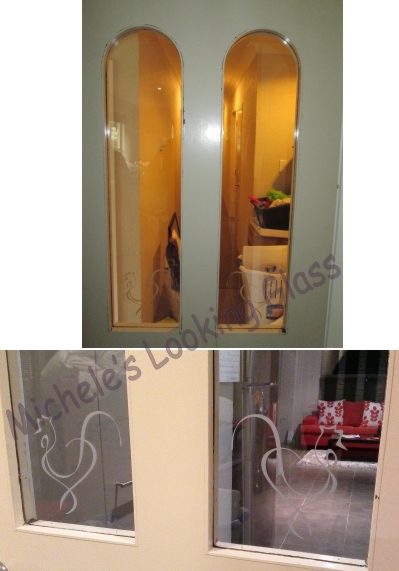 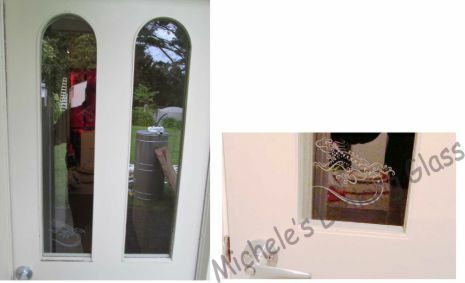 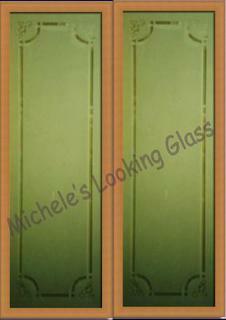 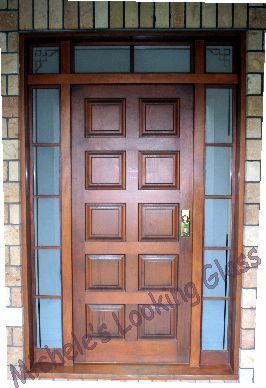 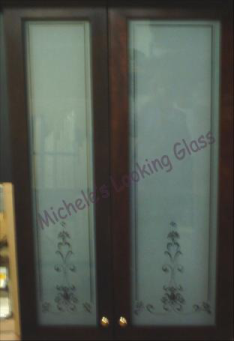 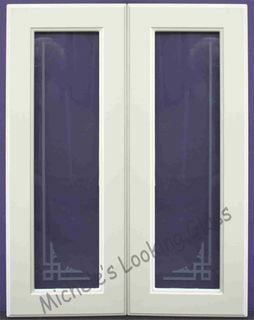 This design was duplicated for the customer to match a second door. 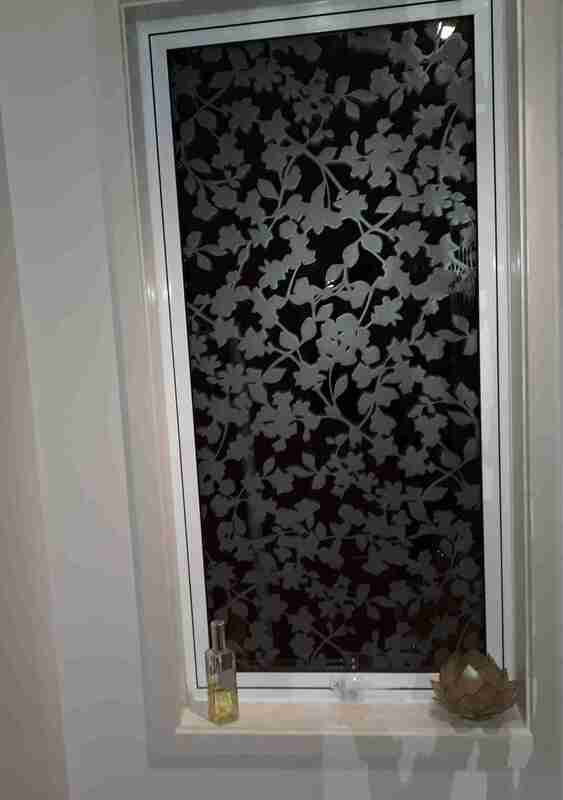 This was a pretty intricate design which had to match up exactly with the broken pane, because the door had two panes in it with the same design.